For years Israel denied allegations that it had a role in funding and weaponizing the anti-Assad insurgency in Syria, and more often military officials responded "no comment" even when confronted with overwhelming evidence of Israeli weapons documented in al-Qaeda linked insurgents' hands, but this all changed in a new British Sunday Times interview with outgoing Israeli army commander Gadi Eisenkot, who has finally confirmed the Israeli Defense Forces (IDF) supplied weapons to rebels across the border "for self-defense," and further perhaps more stunningly, has admitted to long waging an "invisible war in Syria" that involved "thousands of attacks". The interview constitutes the first time that any current top Israeli military or government official has fully acknowledged sending anything beyond "humanitarian supplies," such as medical aid to Syrian militants seeking to topple the Assad government; and yet it still appears the country's military chief is slow playing the confirmation, only acknowledging the IDF provided "light weapons" — even after years of reporting has definitively uncovered an expansive Israeli program to arm dozens of insurgent groups and pay their salaries, including known affiliates of al-Qaeda in Syria. The rare "confession" of sorts comes at a moment the White House says it's moving forward on President Trump's previously announced US troop pullout from Syria, something which has rattled Israel's leadership, which has argued that Iran will become entrenched near Israel's border as a result. 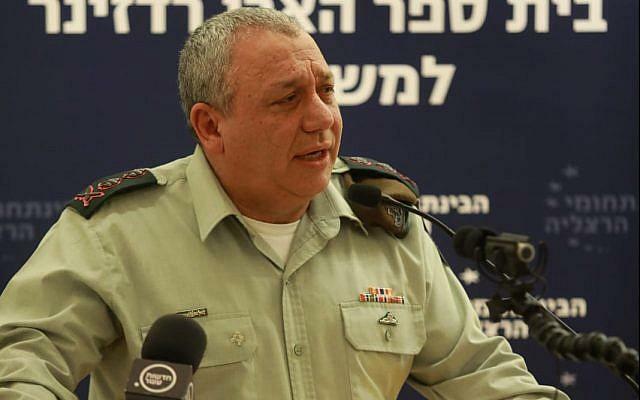 Eisenkot's words appear a warning to Iran that Tel Aviv aims to maintain operational capability inside Syria. Given that prior military officials have typically put this number at "hundreds", often from 200 to 400, this is an astounding admission that confirms Israel and Syria have been in a de facto state of open war since the first acknowledged Israeli airstrikes began in 2013. A prior Wall Street Journal investigation found that this relationship involved weapons transfers, salary payments to anti-Assad fighters, and treatment of wounded jihadists in Israeli hospitals, the latter which was widely promoted in photo ops picturing Netanyahu himself greeting militants. 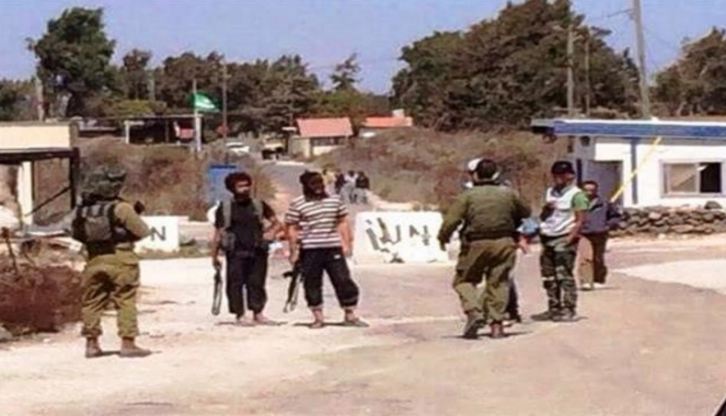 As even former Acting Director of the CIA Michael Morell once directly told the Israeli public, Israel's "dangerous game" in Syria consists in getting in bed with al-Qaeda in order to fight Shia Iran. In recent years, multiple current and former Israeli defense officials have gone so far as to say that ISIS is ultimately preferable to Iran and Assad. For example, former Israeli Ambassador to the US Michael Oren in 2014 surprised the audience at Colorado's Aspen Ideas Festival when he said in comments related to ISIS that, "the lesser evil is the Sunnis over the Shias." Oren, while articulating Israeli defense policy, fully acknowledged he thought ISIS was "the lesser evil." Likewise, for Netanyahu and other Israeli officials the chief concern was never the black clad death cult which filmed itself beheading Americans and burning people alive, but the possibility of, in the words of Henry Kissinger, "a Shia and pro-Iran territorial belt reaching from Tehran to Beirut" and establishment of "an Iranian radical empire." What is clear, and now finally settled for the historical record, is that for years Israeli concealed its "hidden hand" in the proxy war while feigning merely "humanitarian aid" — something now fully admitted by Israel's top military commander. In other words the humanitarian smokescreen was cover for a full-on covert war on Damascus, as we and many other independent outlets have reported many times, and for years. Yet another past "conspiracy theory" becomes today's incontrovertible fact.